You decided to buy a private aircraft. Before getting on the runway, you must be mindful that aircraft acquisition requires comprehensive planning and raises a number of difficult questions: Will the aircraft be acquired by your business? If not, will it be acquired by your family office? What are the potential liability risks? What are the tax consequences of the purchase? How should the purchase be structured? What are the costs of regulatory compliance? To add to the complexity, the Tax Cuts and Jobs Act of 2017 (hereinafter, the “Act”) significantly altered the landscape of private aircraft acquisitions and ownership by eliminating tax-free exchanges under Internal Revenue Code § 1031, modifying the depreciation rules applicable to aircrafts and limiting the deductibility of business entertainment and commuting expenses. To maximize federal income tax benefits and develop an ownership plan most beneficial for your needs, thoughtful planning and the help of competent professionals who will guide you through any potential pitfalls will ensure that your dream of aircraft ownership takes off. Before the acquisition is made, careful consideration should be given to the ownership structure that will be utilized. As you will see, significant tax benefits—or significant tax liability—will flow from this crucial determination. Typically, the aircraft will be owned and operated by the business of the acquirer. As a result, the operating costs associated with the aircraft are incidental to the company’s business and deductible under Section 162 of the Internal Revenue Code (hereinafter, the “Code”) as ordinary and necessary expenses paid or incurred in carrying on a trade or business. In many cases, the aircraft is owned by a special purpose entity that is wholly owned by the taxpayer’s business. The special purpose entity may be a limited liability company or an S-corporation which not only purchases and operates the aircraft but also employs the crew, pays the aircraft vendors, and dry leases the aircraft to the business. Thoughtful planning regarding the structure of the acquisition is even more critical when the entity acquiring the aircraft is a family office. In general, a family office is a family controlled investment vehicle which allows the family members to retain direct control over the family’s assets. The family office provides significant economies of scale for the family by providing services in areas such as investment management, tax planning and estate planning. With proper planning, a family office may be respected as a “trade or business” under the Code. While not defined in the Code, case law describes a trade or business as a continuous and regular activity the owner engages in to earn income or make a profit. Being engaged in a trade or business is very important as significant tax advantages flow from this determination. Notably, in the case of a family office that owns a private aircraft, the family office could deduct the expenses related to the aircraft under Code § 162 which allows deductions for ordinary and necessary trade or business expenses paid or incurred during the course of a taxable year. Without such designation, these expenses can only be deducted under Code § 212 which governs the deductibility of expenses relating to investment activities. Historically, this has been a critical distinction as deductions under Code § 212 were only partially deductible as miscellaneous itemized deductions and is even more critical under the Act as miscellaneous itemized deductions are no longer deductible. As a result, if the family office is respected as a trade or business, costs associated with the aircraft will be treated as above-the-line fully deductible trade or business expenses rather than non-deductible expenses (miscellaneous itemized deductions). Of even more significance, qualifying as a trade or business may allow the family office to deduct 100% of the cost of the aircraft in the year it is acquired under the new rules related to bonus depreciation which will be discussed in greater detail later in this article. The recent Lender Management decision should serve as guidance on how to properly structure a family office as the Tax Court found that the activities of the family office were sufficient to constitute a trade or business. In Lender Management, LLC v. Comm’r, T.C. Memo. 2017-246, the family office provided investment management and financial planning services to three investment limited liability companies, the beneficial owners of which were other family members. Although a familial relationship existed between the owners of the family office and the owners of the investment limited liability companies, the Court found that the family office was carrying on a trade or business because it “carried on its operations in a continuous and businesslike manner for the purpose of earning a profit, and it provided valuable services to clients for compensation.” The Court also emphasized that that the family office provided individual investors in the investment limited liability companies with investment advisory and financial planning services, employed full-time employees including a CFO who oversaw all financial accounting, and that the family office not only received a return on its investment, but also compensation attributable to the services it rendered in the form of profits interests in the investment partnerships it advised. A well-structured acquisition plan also allows a taxpayer to save—and possibly avoid—state sales and use taxes. Many aircraft sales are not subject to sales tax as long as the acquirer takes delivery of the aircraft in a tax-friendly jurisdiction. The key is to determine which jurisdiction most efficiently caters to the needs of the taxpayer. For example, an acquirer may seek to close on the purchase while the acquirer is on the ground in a state that does not have a general sales tax. Alternatively, the owner may take delivery in a state that exempts aircraft from sales tax altogether. Another option is to deliver the aircraft in a state that has enacted a “fly-away” exemption for aircraft sales. The “fly-away” exemption may be available only if the aircraft is based in another state after the sale, removed from the state promptly after the sale, and does not return to the state for a certain period of time. Failing to fully comply with the fly-away exemption requirements may result in considerable tax liability for the aircraft owner. Use tax may be imposed regardless of where the owner takes delivery of the aircraft as the application of use tax depends on where the aircraft is based or used most frequently. Laws regarding use tax vary significantly from state to state as some states exempt aircraft from such tax while others do not have such tax. The Act significantly altered the landscape surrounding the acquisition and ownership of private aircrafts. 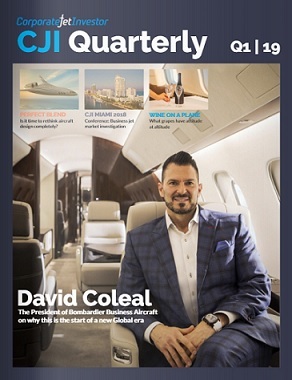 At first blush, many of the changes seem to benefit the private aircraft owner or acquirer, but a closer inspection reveals that there are many potential pitfalls. As a result, these issues should be carefully explored through consultations with competent professionals. Before the Act, Code § 1031 provided that no gain or loss was recognized when property held for productive use in the taxpayer’s trade or business was exchanged for property that was “like-kind.” Under the former § 1031, if an aircraft used in a taxpayer’s trade or business was sold to trade up, the taxpayer could utilize this provision to essentially defer the gain on the sale. This is no longer the case as the Act modified Code § 1031 to only permit like-kind exchanges of real property. Although this change is quite significant, the impact of the elimination of like-kind exchanges can be mitigated by the new bonus depreciation rules. Under the Act, 100% of the cost of an aircraft used in a trade or business may be depreciated during the first year of ownership (hereinafter referred to as “bonus depreciation”). 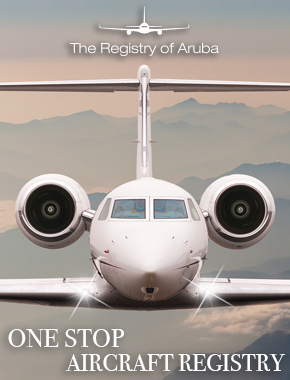 These new rules apply to purchases of either new or pre-owned aircrafts acquired and placed in service after September 27, 2017 but before January 1, 2023. If the aircraft does not qualify for bonus depreciation, its acquisition cost will be depreciated using the straight line method. In order to qualify for bonus depreciation under the Act, the taxpayer must comply with the stringent and complex provisions of Code § 280F which limits the allowable depreciation deduction where the property is not predominantly used in a “qualified business use.” In general, property is treated as predominantly used in a qualified business use if the business use for the year exceeds 50%. A “qualified business use” is any use in the taxpayer’s trade or business, but is subject to some notable exceptions. In the case of an aircraft, qualified business use does not include (1) flights provided as compensation to a five-percent owner or related person or (2) flights provided as compensation to other service providers, unless the flights were included in such service providers’ gross income. In addition, qualified business use does not include leasing to a 5% or more owner or related party. If, after application of the above exceptions, at least 25% of the use of the aircraft is qualified business use, the exceptions will not apply for purposes of the general 50% analysis. A trap for the unwary occurs if qualified business use falls below these thresholds in any year and the taxpayer fails Code § 280F as a result. In that case, the deduction would be prorated between the qualified business use and personal use, greatly reducing the value of the deduction. Worse yet, if the taxpayer fails Code § 280F in a year after bonus depreciation has been taken, the bonus depreciation taken in prior years will be recaptured as the owner must recognize recapture income equal to the amount of bonus depreciation taken in the prior years in excess of the amounts that would have been deducted using the straight line method. Given the complexity of the rules and the dollar amounts at stake, in the year of acquisition the aircraft should not be used for any personal, non-business use and, to the greatest extent possible, the taxpayer should avoid any possible entertainment or commuting use. In order to avoid these potential pitfalls, the general professional advice being given is to acquire and place the aircraft into service late in the tax year so as to avoid any inadvertent non-business use and to clearly and unambiguously document the exclusive business use of each flight taken during that year, even if there are only a few exclusively business flights (or perhaps only one such flight). As previously noted, bonus depreciation is only available for aircrafts used in a trade or business. As a result, if the aircraft is to be acquired by a properly structured family office that is engaged in a trade or business, the taxpayer may obtain a sizable tax deduction in the year of acquisition if the family office has other business income that may be offset by the bonus depreciation. Otherwise the loss will be carried forward under the new more limited deductibility rules. Under these rules, a so called excess business loss many only offset up to $500,000 (for married taxpayers filing jointly) and $250,000 (for single taxpayers) of non-business taxable income like dividends, interest and capital gains in the year of the business loss. In future years, the carryforward loss may only offset up to 80% of a taxpayer’s taxable income for these subsequent years. Owners must also be particularly cautious about how much time the aircraft is used for personal, non-business uses, including entertainment and commuting. Prior law disallowed entertainment expenses incurred on behalf of existing or prospective clients and customers and other entertainment related events unless actual business activities or discussions were being conducted immediately before, after or during the entertainment event. The Act modified Code § 274 so that entertainment expenses are no longer deductible. This new rule applies to aviation related expenses irrespective of whether the expenses were directly related to a taxpayer’s trade or business. Until guidance is issued, it is reasonable to apply existing rules that look to the primary purpose of the trip from the standpoint of each individual traveler to determine the deductibility of such expense. This is a very complex issue as many business trips involve both business and entertainment activities, and there is often not a fine line between them. Despite this hazy distinction, there is limited guidance clarifying what expenses are subject to the entertainment disallowance. In most cases, an objective test will be used to determine whether an activity is considered entertainment: if an activity is generally considered to be entertainment, it will constitute entertainment for purposes of the statute. Examples of this are parties, rounds of golf and sporting events. Unfortunately, this not always a straightforward inquiry as variables such as the nature of the taxpayer’s business and the location where the expense in question took place can shift the analysis. If a trip included both business and entertainment activities, it is not clear what expenses should be subject to the new disallowance. Until guidance is issued it is reasonable to use a “primary purpose test” to determine whether the trip was primarily for entertainment or business. This is a facts and circumstances based inquiry that centers on whether the trip’s main objective is the furtherance of the taxpayer’s trade or business. If the primary purpose of the trip is business, only the direct entertainment expenses should be nondeductible (for example, the cost of playing a round of golf) and the deductibility of the other costs associated with the trip (for example, the cost of air travel) should be evaluated in accordance with the typical rules applicable to business expenses. The Act also modified the deductibility of expenses incurred in providing transportation between an employee’s residence and place of employment, unless the transportation related expenses are incurred primarily for the employee’s safety. Before the Act, commuting expenses of this type were generally deductible as a compensation related fringe benefit. These expenses were deemed ordinary and necessary expenses under Code § 162. Additional guidance should be provided to determine the boundaries of this new provision. For example, does the new limitation include travel between each residence and place of employment of the employee or just travel between the employee’s primary residence and primary place of employment? A reasonable interpretation of the provision is that transportation expenses incurred for travel to or from business locations other than the employee’s primary place of business should not be considered a non-deductible communing expense, but should be considered as ordinary and necessary business travel expenses under Code § 162 even if the trip begins or ends at the employee’s primary residence. Furthermore, the new provision does not provide guidance regarding how to determine the non-deductible amount and leaves open the question regarding the deductibility of commuting expenses that are imputed as income to the employee. A reasonable reading is that the full amount of the expenses should be deductible to the employer if the proper amount of income is imputed to the employee. As noted above, there is an exception for travel that is “necessary for ensuring the safety of the employee.” Unfortunately, compliance with this exception could be difficult as there is currently no guidance on what exactly it means. In this situation, most practitioners agree that an employer can avoid the application of this disallowance if the employee is flying pursuant to an “overall security program” established based on the employer’s “independent security study” that a bona fide business-oriented security concern exists (Treas. Reg. § 1.132-5(m)(2)(ii) and (iii)). Under current guidance, determining whether a bona fide business-oriented security concern exists will be based on the facts and circumstances of the situation. An example of a factor indicating a specific basis for concern would be a death or kidnapping threat to the employee. The employer must periodically evaluate the situation to determine whether the security concern continues to exist. Finally, this new disallowance applies to employees and, while this may seem straightforward on its face, guidance should be provided as to who, exactly, is an employee. It is reasonable to assume that the term “employee” refers to the definition of employee under Treas. Reg. § 31.3401(c)-1. Under this definition, partners, independent contractors (a group that includes directors) and other self-employed individuals are not considered employees. Would a 2% or greater shareholder of a Subchapter S corporation be considered an employee? Most practitioners don’t believe so, but without additional guidance confirming, the question will remain. Before purchasing an aircraft, careful thought and consideration must be given to the variety of issues the purchase will raise. From the outset, it is critical to enlist the help of competent professionals to lay the foundation for the transaction by selecting the proper acquisition structure and shepherd you through the process to ensure the purchase meets your needs and that the most efficient tax results flow from the transaction. Said simply, make sure not to rush the take off.